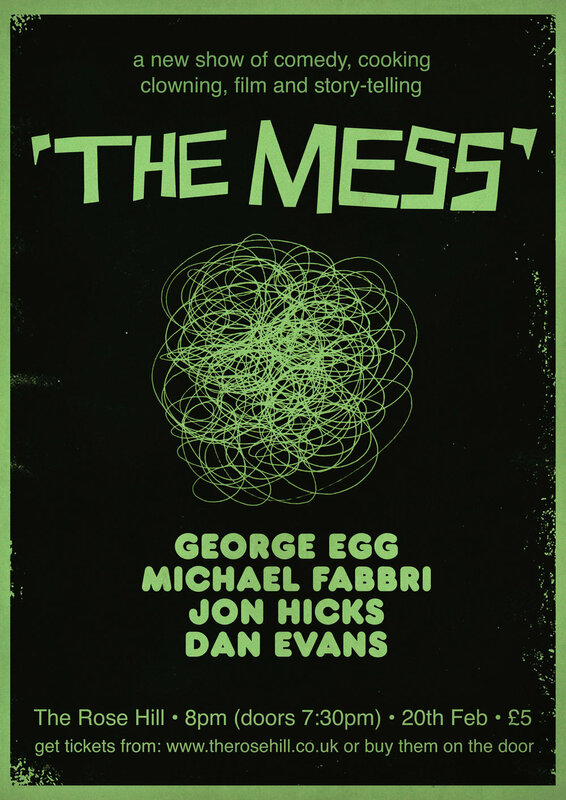 After a sell out first show George Egg and friends return with their new variety show at The Rose Hill. Four professional well-seasoned comedy performers are developing new material and would welcome your attention. This is a variety show where they'll be trying out their new ideas, road-testing old ones and generally being innovative, interesting and above all, very funny. George Egg is a comedian who cooks live on stage. Dan Evans is a comedian and writer with a surreal bent. Michael Fabbri is a stand-up and story-teller. Jon Hicks is a silent clown and artist. The show will have stand-up comedy, live cooking, absurdist clowning, entertaining story-telling and short films.